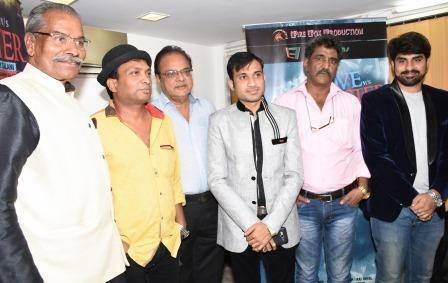 Burning the mid night oil to ensure the success of the film “Love Vs Gangster” the cast and the crew gathered for the Poster Launch of the film along with the launch of Dhananjay Galani & Vinayak Handa’s acting classes “Innovators Film Acting Academy”. Want to pursue an acting career? Well here is the way to your dreams. Dhananjay Galani & Vinayak Handa’s acting classes “Innovators Film Acting Academy” promises to give the right directions to your dreams. After studying and observing and working in Bollywood Dhananjay Galani & Vinayak Handa released the fact that every actor is precious. Their Bollywood journey made them understand that Bollywood is a “Bhulbhullaiya”. It very rare that actor get their due. Some of them chase success but never see it & some of them start taking their stardom for granted. Innovators Film Acting Academy aims to prepare their students not just in the field of acting but how to deal with success & failure.